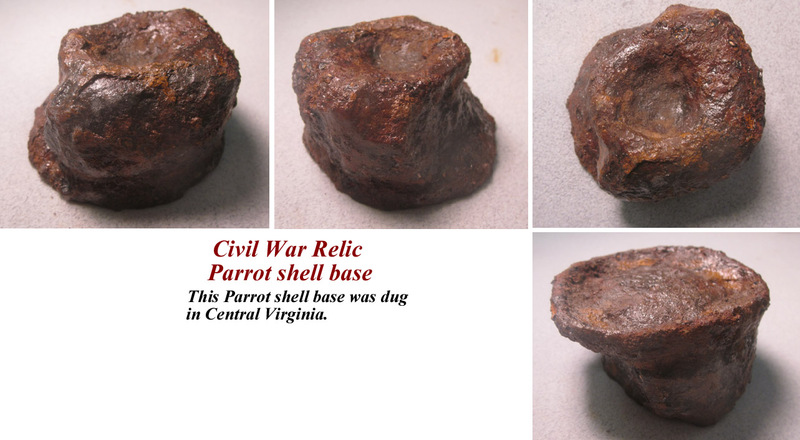 Civil War Relic Parrot shell base. 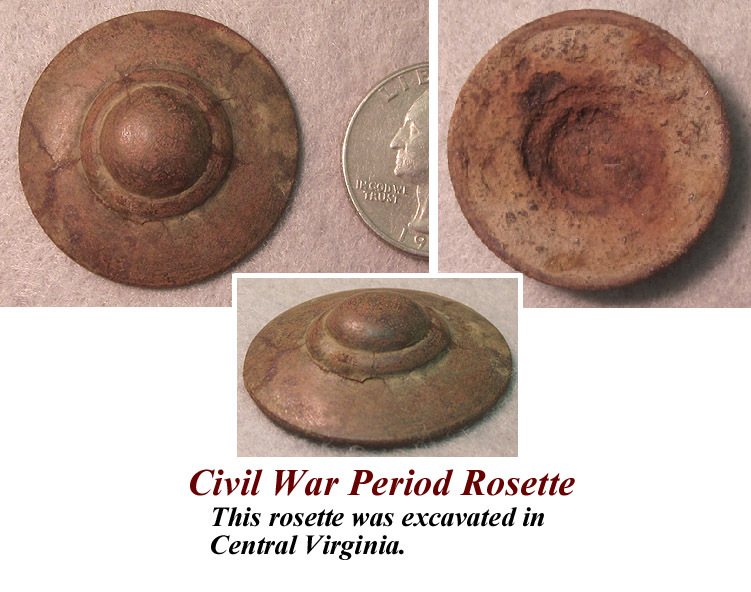 This Parrot shell base was dug in Central Virginia. 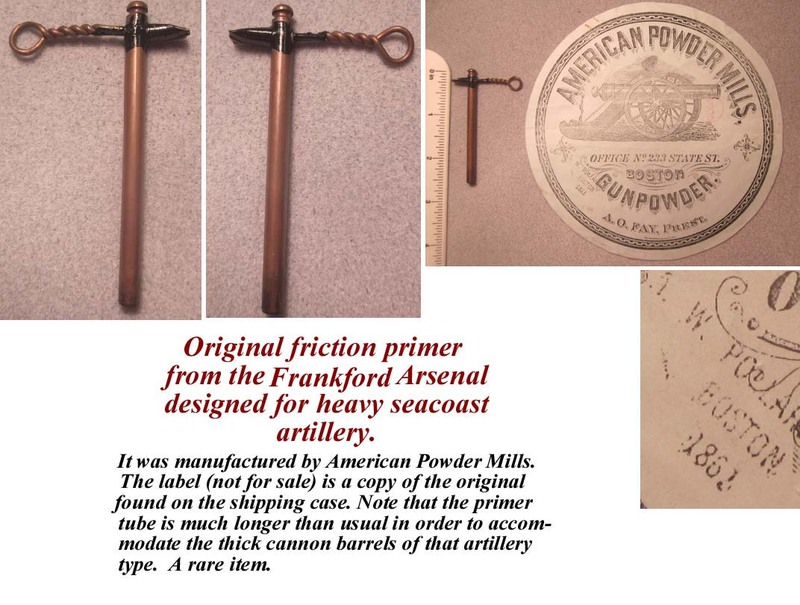 Original friction primer from the Frankford Arsenal designed for heavy seacoast artillery. 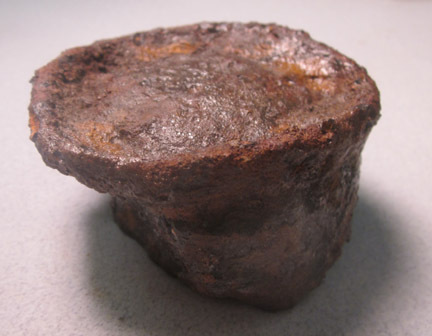 It was manufactured by American Powder Mills. 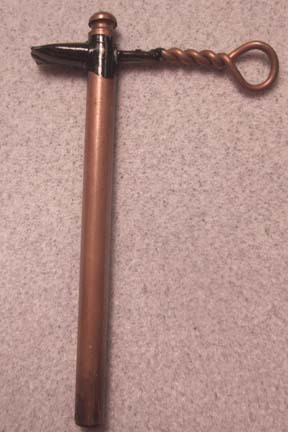 The label (not for sale) is a copy of the original found on the shipping case. 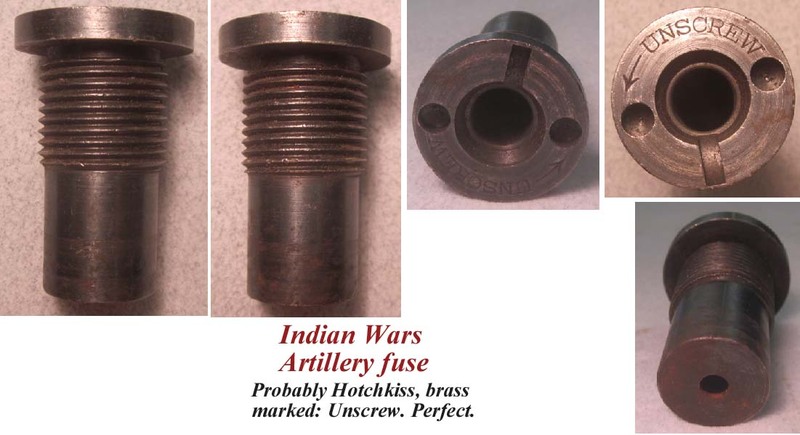 Note that the primer tube is much longer than usual in order to accommodate the thick cannon barrels of that artillery type. 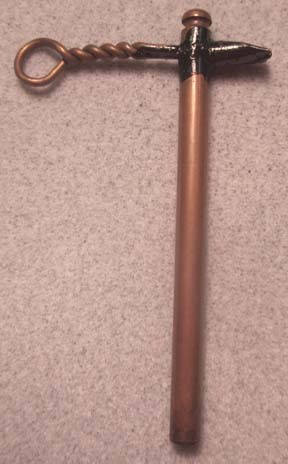 A rare item. 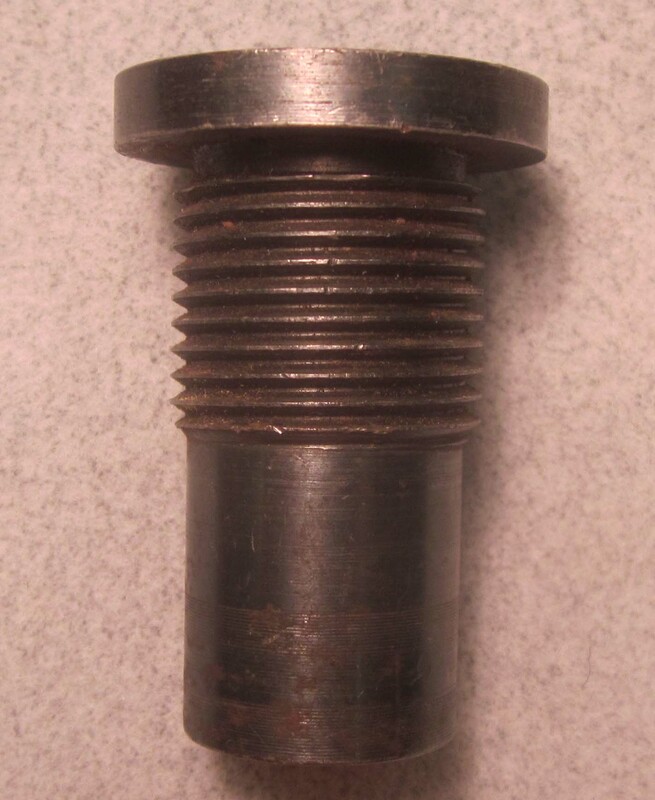 Probably Hotchkiss, brass marked: Unscrew. Perfect. the North Anna in Virginia. 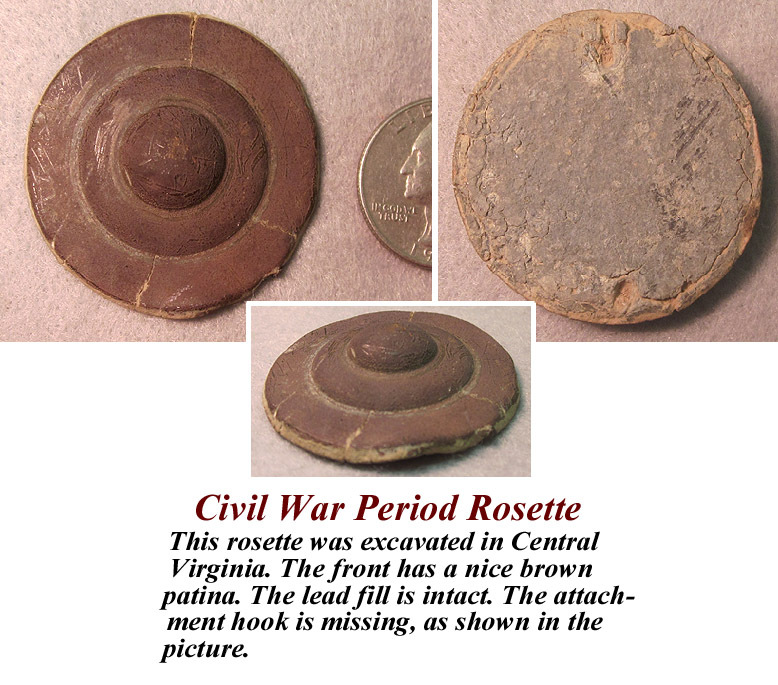 This rosette was excavated in Central Virginia.